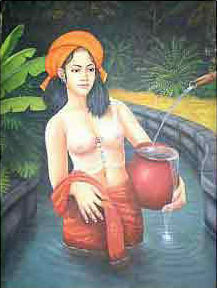 Bali Woman are never endless inspiration for painters. So artistic and beautiful become a object for painting. specially for Balinese woman that are thought woman, support family for the daily activities take care children and support their husband for economic matter also prepared daily offering for thank you to God. 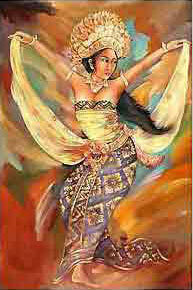 They also very talent on dancing and art.